Writing on its official website, the China National Tourism Administration (CNTA) recognised COTRI as “the world’s leading independent research institute for training, quality assessment, research and consulting on the Chinese outbound tourism market” (CNTA) in an article reporting on a training day COTRI held in Nairobi, Kenya in collaboration with the Kenya Tourism Board (KTB) in March 2016. The article commented on the nature of the expertise that COTRI delivered during its signature China Tourist Welcome (CTW) Training Programme, noting that the workshop equipped local industry players with not only the necessary skills needed for addressing the particular requirements of the rapidly-growing numbers of Chinese outbound tourists, but also informed participants of the latest trends and dynamics in this specialised market. CNTA, which is directly administered by the State Council of the People’s Republic of China, is the Chinese government authority responsible for coordinating the development of both domestic and overseas Chinese tourism. 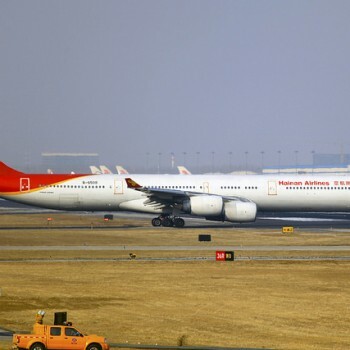 Serving to administer the policies of the Beijing government, CNTA negotiates and develops tourism strategy with international counterparts and implements regulations concerning the outbound travel of Chinese nationals. In support of its international activity, CNTA operates eighteen overseas representative offices in a number of high-profile locations, which include New York, Singapore, Sydney and Paris. 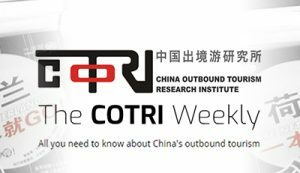 CNTA chose to feature COTRI’s CTW Training Programme in Nairobi as a premium example of the development of Chinese outbound tourism in destinations that have previously been less-frequently visited by Chinese travellers, yet are now witnessing tremendous growth in arrival numbers. The report called particular attention to the fact that China has become the Kenya’s most important source of tourists from Asia, despite only having received Approved Destination Status (ADS) in 2004. The KTB is anticipating over 100,000 Chinese arrivals in 2016, which would represent an increase of over 150% of 2012’s figure of 40,000. In light of the significant rise in Chinese arrival numbers, it is crucial that the Kenyan government takes concrete steps to ensure that its domestic tourism industry is well-prepared to cater to this valuable market sector. Accordingly, CNTA’s article made it clear that COTRI’s CTW Training Programme in Nairobi was attended by representatives from a total of 46 domestic industry stakeholders, which ranged from government agencies to airlines and hotels.